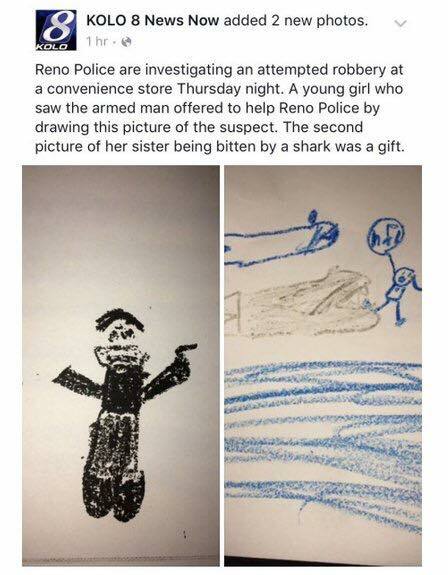 The robber has no ears, I'm sure that detail will facilitate the arrest! I just showed it to my daughter and she said the robber looks like Keanu Reeves!!! Yes actually it does! Man what is he up to now? As if eating all your birthday cake to himself and then denying it wasn't enough! hahahaha and Stirks, what has he done with his ears? ?